Jean-Marie Hullot is a French developer whom Steve Jobs hired at NeXT in 1986 for his brilliant piece of software which would eventually become Interface Builder (a program to build application interfaces in a very straightforward manner). He became a close collaborator of Bud Tribble and Avie Tevanian when they were building NeXTSTEP. Later, Steve hired him again from 2001, first to work on iCal and iSync, and then on the first version of the iPhone OS. 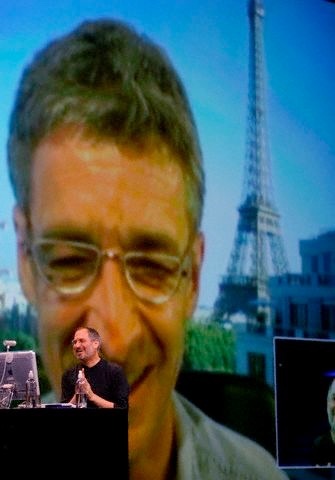 Jean-Marie then left Apple to start Fotopedia (perhaps out of differences with Scott Forstall).